Jack Butala: Welcome to the show today. 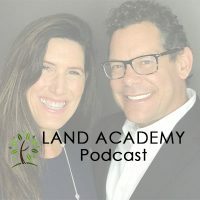 This episode Jill and I talk about Millionaire How To Stay On Top. You got there times 80 what do you do to stay on top? Do you do anything? 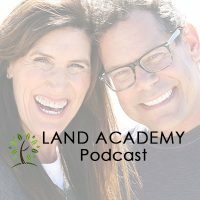 Before we get into it let’s take a question posted by one of our members on the landinvesters.com online community, it’s free. Jill DeWit: Okay, Heather asks, I’m just starting out and I’m trying to learn the ropes and what it takes to be successful in this business. I need some advice. I want to test out a county in each state at one time to see what type of sales and feedback I receive. Have you ever tried this and do you think this would be a good idea or am I shooting myself in the foot by trying to do too many at one time? Jack Butala: Heather, I love your attitude. I love testing stuff before you’re actually really put boot jumping with both feet. I can tell by the way what our producer did that you’re not a member in our group and most of the intelligent questions that we get are from people who are already members and this is incredibly intelligent and so I appreciate it. I would test, I’m going to give you a couple ways I test counties because I do test counties and it’s not something we talk about often enough. Just by the fact that you’re asking, hey, can I just test this out a little bit just to see, is fantastic. I want you to be as creative as you can about it. Here’s a couple things you can do really quickly to test pricing on counties and it doesn’t cost a dollar. Post a Craig’s List posting and say that you have a couple pieces of property for sale in X,Y,Z area, you can post 10 of these things, maybe 100 if you want. Jack Butala: If you’re in an environment like California a real urban environment there’s like 20 little Craig’s Lists all over the place and so you can do it and price it and see what kind of feedback you get. If you’re going to do rental houses, I was famous for this back in the day, posting a fake ad that said I have a house that I have for X,Y,Z and see how many responses you get. If you see you get nothing, maybe you’re priced too high or whatever, then adjust it that way it doesn’t cost anything. That’s one way I test counties and pricing. I will say something about this, this works. Sending blind offers that are undervalued works in every single county in this country, why, because we have all the data. The variable is using the data correctly for one simple thing, pricing. I think yesterday or two days ago we had a question about, what do you do in a market where it’s a seller’s market, where every house listing becomes an auction. Well, you get creative just like you are here. You make sure it’s a cash offer or whatever like that. It’ll work no matter what you do if you price it correctly, it will work. For houses, you may have to send out 2500 units in a very rare situation you might have to send out 5,000, but you’re still making 10, 20 grand on each house. I love your idea and if you’re buying land and it sounds like you are sending mailers out to every single county is only going to strengthen and diversify what you’re doing, it’s not going to hurt you. Concentrating in one area is like driving for dollars and all that, that’s a pile of malarkey. I think it was a great thing to do in 1971 when you didn’t have the data that’s available and the computers and all that, but now you really can plan, test and attack. Jill DeWit: I appreciate … You know what, Heather is probably the first person that I’ve ever heard come forward that’s not trying to do their county or the next county over where they feel the need to drive there and touch it and feel it and see it. Heather’s really thinking outside the box and not concerned about that at all and I’m so happy that she’s getting it. You gotta see these are assets, these are lines on spreadsheet. It really is. Jack Butala: That’s all it is. Jill DeWit: And if you can see it like that you can do this and you’ll be successful. Jack Butala: You’re buying an APN, assessor’s parcel number, you’re not buying a piece of property. That’s how I look at it. Jill DeWit: You’re not buying because of the hill and the sunset over here. Now your end-user is, that’s what they’re buying and that’s what you’re getting out of it, because you’re going to make it gorgeous, but when you’re picking up these assets you don’t look at it like that. Jack Butala: I love her attitude and I love the way this is written. Jill DeWit: Yeah, that’s really, really good. I have so many people they goof themselves up sometimes because they can’t get past that little hangup, like I should drive there. No, maps and things are getting so much better and we joke about that last thing, you don’t want to fall in love with it because that can happen. Jack Butala: Do you ever go shopping with somebody and they have to touch everything, they have to touch the fabric and the clothes that they’re looking at. Jill DeWit: Yes, I think it’s weird. Jack Butala: Halfway open a box for a small appliance, really, really look at it and touch it and tap it with their fingernails see what it’s made of. Jack Butala: None of those people are in this business. Jill DeWit: Want to hear something funny? Jack Butala: Did you ever have a contractor, did you ever have like a brother-in-law or something tell a story like this, I bought this house and the guy half finished the kitchen and I got a great deal on the house and all these cabinets were put in wrong. I had to go in there myself because, and he says the sentence like this, if you want a job done right you’ve got to do it yourself. Jill DeWit: Oh, I hate that saying. Jack Butala: It’s ridiculous. The cabinets are fine, man. Jill DeWit: Oh, my god. Yeah, I know you’re right. Jack Butala: This is exactly the opposite of Heather here. Exactly the opposite. Jill DeWit: If you have that mentality, like I’ve got to do it all, you won’t get ahead. You can’t systemize it. Jack Butala: Yep. Never quit your day job. Jill DeWit: You can’t go far because you do every job. Jack Butala: And you have to touch everything. Jill DeWit: So you can never replace yourself so you can only do the number of deals that you can handle. So you are sunk, that’s it. Jack Butala: You failed before you start. Jack Butala: So, no yeah, I answered the question. 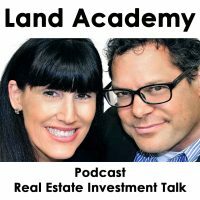 Jack Butala: If you have a question or if you’d like to be on the show reach out to either one of us on landinvesters.com. Today’s topic, Millionaire And How To Stay On Top, this is the meat of the show. If there’s one thing for sure and I learned this from an old boss of mine, brilliant guy, he said no matter how on top you are, no matter if you’re Bill Gates or Steve Jobs, if you have a virtual monopoly there is always somebody who’s younger and faster, and smarter and has more time and more will and more energy coming up right behind you with a better mousetrap. You never, ever can sit back and say, I’m untouchable, my concept is fantastic, I’m not going to tell anybody about it, I’m going to keep it all to myself, and I’m going to ride this wave right into the shore. That is maybe the worst thing you can do, especially this day and age when information is so readily available and it virtually costs nothing. I mean almost close to nothing to start your own company. 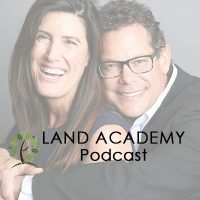 What you want to do to stay on top is to embrace these people like what we’ve done with Land Academy. Jill and I could have never ever turned these microphones on or never gotten on the internet and we could have bought and sold just as much real estate probably more, in fact more for sure. Jack Butala: That’s not what were doing. Jack Butala: We’re choosing to let people in if they want to come in and teach them how to do it for a bunch of reasons and then eventually do business with them because we’re not getting any younger. Jack Butala: I mean Jill might be. Jack Butala: If money can make you younger Jill’s spending it. Jill DeWit: That is a good investment. Absolutely. I agree. That’s good. Jack Butala: You want me to just do the whole show today? Jill DeWit: Yeah, would you, this is nice, I’m just going to weigh in on little comments. Thank you. Jill DeWit: Hi, here’s how I stay on top I coast like this show. Jack Butala: That’s the worst advice I’ve ever heard. Jill DeWit: Okay. I like that but you know when you were describing this situation, Jack, and what that former boss said all I could think of is how many airlines, because I spent many years in the airline industry and I watched airlines come and go. The ones that didn’t make it were the ones that didn’t embrace, they invested too much money in the wrong technology or just invested too much money in that technology instead of embracing change and now they’re not here. I remember when Southwest first came around and the whole idea of not pre-reserved seats, I know this is kind of a weird example you can tell me if this is a weird example Jack, but this makes sense to me. Jack Butala: I love where you’re going with this, personal experience. Jill DeWit: Yeah, so they came out with the not pre-reserved seats, I worked at American Airlines at the time and the whole notion of not pre-reserved seats, who’s going to like that? That’s ridiculous, no ones going to want that. Well, guess what, that worked. It worked great for them. They made more money, especially right out of the gate because they did not even bother investing in that technology. Well, it’s too late for American and all the other legacy airlines because they already had all that money spent. Some of them, they’re not here today. Employee costs, that’s another huge one too. The employee payroll tier and how many it took to do X-jobs versus Southwest over here, they had employees doing two and three different kind of jobs, they were cross-trained, much better use of their resources and we couldn’t possibly think that way, no. Jack Butala: So what I hear you saying is that they created a new way to deliver the same old service more efficiently and more interestingly for the customer and all that stuff. Jack Butala: That’s exactly what I’m talking about. It’s a perfect example. Jill DeWit: Thank you, that’s where I was going with that. Jack Butala: Jill and I just don’t buy and sell real estate anymore, now we have companies like Parcel Fact or we have companies where you can research property really easily or offers to owners, which is a really efficient way to get … This is not a commercial, it’s just an example and it’s [inaudible 00:10:58]. Jill DeWit: That’s gonna change. Jack Butala: -it’s live personal training from Jill and I. In the beginning, it’s going to be Jill and I specifically without any helpers so we’re doing that. That’s new and fresh. Jill DeWit: Jack, can I touch on that for a second? That’s a beautiful example because we’ve gone from print version, you know we started with the eBook you wrote and everything, which grew into good old-fashioned DVD’s, which grew into now it’s all online, we don’t ship anything because that was older we embraced, and we’re moving forward. Now we’re moving forward with, all right this is not even the latest and greatest technology, now we have more things we can do, it’s better. Now we can do this totally online, and we can have real classes with live people and us live. It’s going to come out Jack and I working on it now, and it’s probably going to launch. By the end of this year you could be signing up for this stuff and be in a class in January and it’s really us. This is technology. Jack Butala: We [inaudible 00:12:03] together so we send mailers out together. Jill DeWit: You’re going to see it happening. Jill DeWit: You can go, hold on a moment I have a question right then. Jack Butala: Or you’re sending your own mailer out and we’re looking at it saying, yeah, this makes sense or no, it doesn’t make sense. Jill DeWit: Exactly right then. I mean how cool is that going to be. That’s how you stay on top . Jack Butala: That is exactly right and you just constantly are expanding your product line or the … what’s the technical term, you’re adding value to an already existing product. We have a subscription model for our silver membership and we constantly add, without increasing the price at all, constantly add stuff to that to make sure our existing subscribers are happy. That’s how you stay on top and embrace the people. There are many people in our group that make more money than us buying and selling real estate and I keep those people very close. They know who they are. We have them on the show sometimes and I learn from them quite honestly. Jill DeWit: Mm-hmm (affirmative). Yeah, that’s a good point too by the way. Jack Butala: You can’t have an ego in any of this. Jack Butala: You have to really embrace everybody’s point of view. You can’t sit around and say, I’m the guy on top I have all the money. Jill DeWit: Right and I’m not going to listen to you because you’re new, that’s stupid. Jack Butala: You’re not doing it right because you’re young and stupid. I’m better than you are and so you can go home now. Jack Butala: The vast majority of people that I know who are very, very successful do it my way, but there’s always somebody. There’s always a crazy person at the end of the block no matter how much money you have by the way there’s still that crazy person at the end of the block and it’s worse because they’re rich. I’m speaking from experience. Jill DeWit: Do you know what’s funny about that? Jack Butala: There’s always one rich guy in all these groups that’s like, you’re wrong, I’m right your wrong. Jill DeWit: Stuck in their ways. I know. It kind of ties in loosely I think to our whole big vision for you and I is changing the way people buy and sell real estate. I mean there’s so many people out there hung up on that. That’s another thing if you could just step aside and realize there’s better ways to do these things, it’s not 1972 anymore. You don’t need to hire a real estate agent who wears a gold jacket and that’s it. No matter what interests or whatever percentage you negotiate that’s still not the only way. Jack Butala: We live in the greatest time that there ever was in the history of man in my opinion. Every single answer to every single question is in your pocket on your smart phone. You want to start a company? Go start one. You’re about $45 away from having your own company. You want to get credit to take credit cards online, go for it. It doesn’t cost anything. You want to put up a website and sell stuff, it costs about $50 to do that. Jack Butala: Oh, wait, it costs too much where you buy that stuff? There’s this place called China. Jill DeWit: Research. Yep you’ll find it. There’s a market for things everywhere. Jack Butala: I see this on Facebook and I see this stuff in the NFL and I see a lot of things happening where people are really anti, anti, anti, I see a lot of [antiness 00:18:25] especially from [crosstalk 00:15:17] reel it in for a second and the fact is this. We live in the single greatest, I don’t know if we have a good politician leader, I don’t care about that, but I do know this we live in the greatest time in the history of man ever. The history of human race. Jill DeWit: A third of my paycheck? Jill DeWit: I’m totally kidding. Jack Butala: Jill and I before the show we watched standup comedy to get ourselves in a good mood. Jill DeWit: I love it, Jack. You just have to get up and do it. Jack Butala: Another comedian said he was on an airplane recently, and the guy next to him for whatever reason the WiFi on the airplane wasn’t working, and the guy just blew his top, I can’t go through this three-hour flight without WiFi, he’s blowing his top. The comedian says, stop, stop you’re sitting in the air flying. WiFi, I’m sorry it doesn’t go to the satellite back and properly. Even the fact that this technology even works for one second of your life is fantastic. Jack Butala: So we all need to take a big deep breath and really maybe just concentrate on making our lives better. Jack Butala: You know I’m all for protesting and sticking your middle finger up, but let’s concentrate on making our lives better and our family lives better, our families life better too. Jack Butala: Well that turned into a rant. Jill DeWit: Yeah. Trying to bring it back in. Just kidding. Jill DeWit: Maybe, I can bring it. Jack Butala: Join us in the next episode where we discuss Millionaire, What Do You Actually Own When You’re On Top? Jill DeWit: And we answer Marcy’s question about why handwriting letters is not the best way to go. Jack Butala: Oh, Marcy I like it already. You are not alone in your real estate ambition. Great show, Jill. Jack Butala: Did I go too far? Jill DeWit: No. It was really good. I love your How To Stay On Top, if you can’t take a step back and get outside your own head and embrace what we got going on right now and what’s available to us you’re missing it. Sometimes I have to catch myself honestly. I have younger people on our staff, younger members and they bring some ideas and my original gut is, oh, that’ll never work. I have to remind myself, wait a minute, they just said they tested it three times and it did work, I’m like I need to look at this then and they might be right. Jill DeWit: That’s it, it’s great. Jack Butala: Hey, like our show please subscribe and rate us on iTunes or wherever you’re listening. Jill DeWit: Information and inspiration to buy undervalued property.